In this article DUI Defense Lawyer discusses CVC 40300.5 – Arrest without a warrant In DUI Cases. Click on the links below to go directly to your topic of interest. (e) The person may destroy or conceal evidence of the crime unless immediately arrested. The California legislature passed CVC 40300.5 creating an exception to the warrant requirement. Without this code section, a police officer can not arrest a person without a warrant unless he observes a misdemeanor. With this law, California police officers are permitted to place a person under arrest pursuant to CVC 40300.5 even though the officer did not see the misdemeanor being perpetrated in his or her presence. This is a major departure from the common-law rule that a police officer needs to observe the crime taking place to take somebody into custody for a misdemeanor. The common-law rule is regarded as so significant that it was taken into consideration when the U.S. Constitution’s Fourth Amendment was being written. This criterion is recognized as the “officer’s presence” rule and this legal requirement for an arrest was eliminated at the request of political interest groups like Mothers Against Drunk Driving (MADD). CVC 40300.5 permits the police officers to take an individual into custody when they suspect he or she has committed a DUI and the officer did not observe the crime as long one of the requirements are met. 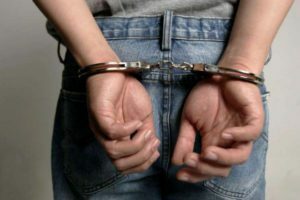 This law creates an exception to the arrest requirement that a person can be arrested only when there is an arrest warrant or a probable cause as observed by the officer. DUI cases frequently involved misdemeanor charges, unless the DUI involves an injury or the accused has a is a bad record with multiple priors or previous felony DUI. For police officers to take somebody into custody for a misdemeanor, specific requirements have been created that defend individuals from false or unsuitable arrest. These laws, as well as the U.S. Constitution’s Fourth Amendment, require that an arrest cannot take place unless the officer doing the arrest either has probable cause that a crime happened or needs to possess an arrest warrant that a judge or magistrate has signed. The law is intended to safeguard individuals from wrongful arrests by police officers or other government agents. A police officer needs to either an arrest warrant or has a probable cause based on “articulable facts” that the suspect committed a felony to place a person under an arrest. For a misdemeanor, the officer needs to either an arrest warrant or the officer have to see the offense being committed. This criterion that the officer observed the offense to arrest a person has been diluted in California DUI cases by CVC 40300.5. Now, the officers can arrest a person without observing that the crime occurred pursuant to CVC 40300.5. Los Angles DUI Attorney is here to help you fight your case. Our goal is to get the best possible deal for our clients or get a dismissal of all charges. 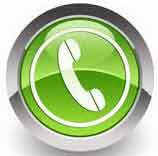 We accept all forms of payment and will take your call even in the middle of the night. Please do not hesitate to call us and we will be there to help you.